A brand is a critical asset of any company, and so too for startups. A brand is a set of values that are associated with a company or product or service. E.g. dependable, reliable, fast, elegant, expensive, high-value, etc. In effect, a brand is the sum total of the perceptions about your product or service or company that different people have. These perceptions are a result of the brand’s look & feel and communication, including PR, as well as the customer’s experience with the product and the service. All of these have to work in sync for a brand to establish positive equity with all stakeholders. Simply put, brand management is about managing the perceptions about the brand that different stakeholders have. Author Prajakt RautPosted on October 26, 2014 October 28, 2014 Categories All articles, Brand management for startupsTags brand management, brand positioning, branding, marketing, startups, the hub for startups1 Comment on A brand is a critical asset of any company, and so too for startups. When I was younger, a new brand of packaged burgers was launched under the name ‘Big Bite’. It was an awesome product and priced just right. But, it was actually a mini snack… not actually a big bite. However, consumers, including me, had seen the product being advertised as a ‘BIG BITE’ and expected a ‘BIG BITE”…. and we were disappointed at seeing the actual size of the snack. I feel that if the company had called the snack a ‘Mini Bite’, the product could have been a huge success. This was, to my mind, a big lesson on a great product at a good price-point getting killed because of over-promise and incorrect positioning. 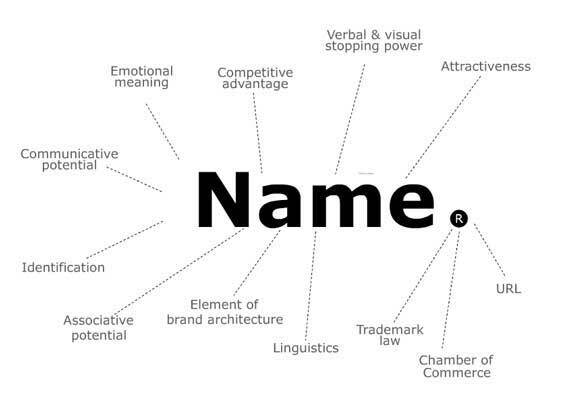 How do you choose a name for your startup? Decide on the name for your startup very, very thoughtfully. Give it as much importance as a parent would give to naming a child. YOU will have to live with that name for life… even if the startup fails and shuts down. Ideally, a name should give your intended users/customers a clear idea of what you do. e.g. ‘Page on makemytrip.com‘. It should be easy to pronounce for all people across geographies and it should, as best as you can research, mean the right thing in all languages. Author Prajakt RautPosted on February 21, 2014 February 21, 2014 Categories All articles, Brand management for startups, General interest, Lessons in leadershipTags brand name1 Comment on How do you choose a name for your startup? When a brand meets customer expectations, it is ensuring customer satisfaction. However, when customers get value or benefits beyond what they had expected, the brand has ensured customer ‘delight’. Common sense suggests that a delighted customer would be more loyal to your brand than a satisfied customer. Customer delight, in most cases, is not about better product performance. Consumers have a certain degree of functional expectation from a brand and, in most cases, the brand is likely to deliver a level of performance pretty close to that expected by the customer. This is precisely the reason why functional parameters have ceased to be meaningful differentiators for customers to choose one brand over the other. So what is customer delight all about? How does a brand ensure customer delight? Customer Delight is about demonstrating and providing a set of tangible and intangible benefits beyond the functional features, a combination of which provides value beyond what the customer had expected to receive from the brand. E.g. quality of customer service, quality of customer support staff, design differentiators of the brand [e.g. Apple], etc. It is important to recognize that customer delight is a moving target. It is not a fixed benchmark to be achieved. As competition intensifies and responds, the power of some benefits to act as differentiators gets diluted or erased. Brands therefore have to constantly monitor customer satisfaction and delight levels in relation to competitive offerings and then create more and innovative value propositions for customers to continue to feel delighted. Often entrepreneurs take the easy route of providing higher value through lower price. However, not only is there no guarantee of it being a sustainable advantage (because it is replicable by other players too) but it also strips the brand of much needed profitability to create and sustain alternate benefits. Consumers don’t necessarily look for ‘low price’. They look for ‘high value’. Apart from a sensible price point, customers look at brand imagery, service and other intangible parameters for selecting amongst brands. For a brand that seeks to provide ever increasing service levels and standards, competing on price will seriously limit its ability to invest in technology and resources to provide the desired service levels. How well the logo is designed and how well the messaging is in the tag line will create the first impressions about the brand’s personality. Right from the time you exchange business cards, or when you release an ad – in print, TV or online, or when someone visits your site, it is often the name of the company, represented by the logo + tag line that will be noticed for the first time. While a badly designed logo may not necessarily send the wrong impression, a well-designed logo will most certainly create a favorable impression. Similarly, with tag lines. Tag lines should be used to communicate clearly what you do. E.g. “Online fashion store”. PR is one of the most powerful, yet most neglected tools for marketing. In India, the cost of customer acquisition online through CPC and CPM based activities is anywhere between Rs.500 – Rs.1500, depending on various parameters. For a category where the average sale price is Rs.500, and where the brand is operating at a 30% gross margin, if the customer acquisition cost is Rs.1500, the brand will need 10 transactions from that customer to just cover the cost of customer acquisition. On the other hand, in case the brand also uses PR, and is able to get some visibility for its offering, they can reach many new potential users without any direct cost. In this situation, if the ‘blended’ cost of customer acquisition i.e. the average cost of customer acquisition including paid + free PR generated users, is say Rs.300, the brand would need just 2 transactions from the customer to recover the cost of customer acquisition. Good PR is not by accident. It is a result of a planned effort by the company. Of course, to leverage PR, the startup or its product and service should have something newsworthy and interesting for media to cover. How do you find early adopters for your website? Most entrepreneurs with online businesses focus only on online marketing for customer acquisition. However, even if your business is online, your consumers live in the real world. In many cases, especially for the initial user base, it is possible to use off-line marketing. E.g. offering it to a employee base of a company with some incentive, doing posters and leaflets on campuses, etc. In countries like India, where the cost of customer acquisition for e-commerce sites is estimated to be around INR 1500 [USD 30], a few companies have successfully experimented with passing on a part of the customer acquisition cost to the user. E.g. Offering an INR 500 or USD 10 voucher to just signup, etc. The likely result will be higher conversions. These methods may not be scalable or sustainable in the long run, but they can give you a decent start. Author Prajakt RautPosted on October 20, 2013 October 20, 2013 Categories All articles, Brand management for startups, Sales strategies for startupsTags marketing1 Comment on How do you find early adopters for your website?